Coins vanish and reappear, a comedy of errors occurs with audience members watch bottles appear out of nowhere (only to magically come back together in an impossible place), and, if permissible, fire is eaten like a snack! Performing the impossible, Arthur presents a demonstration of "mentalism" or "mind-reading" that will have your group talking long after the show. He reveals audience member thoughts and makes predictions that prove true. Arthur performs these amazing feats using psychology, "sleight of mind", and mental misdirection. The result is profound and thought provoking. Arthur’s use of humor throughout every show is clean, quick, sophisticated, engaging, and non-offensive. Comedy occurs as a result of the situations which unfold during the course of each performance! Audience members are always involved, but never insulted or embarrassed (well, not too bad anyway!). Arthur comes from humble roots. Raised on a small farm in rural Oregon, his family has been in the dairy industry for over a century. Arthur lived and loved the farm life: milking cows, bucking hay, moving irrigation lines, harvesting crops, and driving combines. As a young boy, he saw his first magic show at a local fair and held that fascination into adulthood. 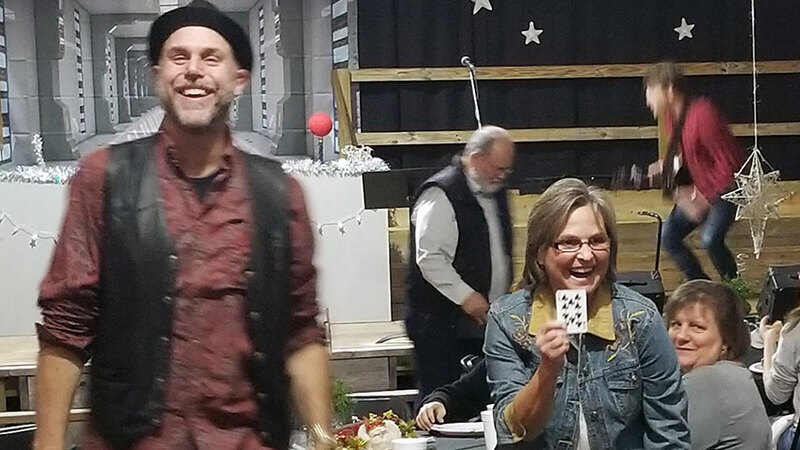 Arthur’s witty dialogue, elegant comedy sleight of hand magic, and down-to-earth personality will delight any audience. "Arthur did a fantastic job! I am just really pleased with how everything turned out. He is a wonderful entertainer and does a great job with all audiences. Thanks so much for the recommendation." "Arthur was awesome. He engaged the audience - young and old - before, during and after the show. He gave a gospel presentation tied in with his use of magic that was very clear and easy to understand. Completely entertaining. His show has been the topic of conversation among our people since." "Having Arthur at our event was amazing. His engagement with the audience was exceptional. He greeted people as they were entering the venue and was very professional. He kept the audiences attention throughout the entire show and the message he brought during the show was really good as well. We enjoyed everything about him. Before the show began he even helped me light candles before people arrived. I would recommend him to others if they wanted a magician." "Arthur was a delight to have perform for our Christmas Event. 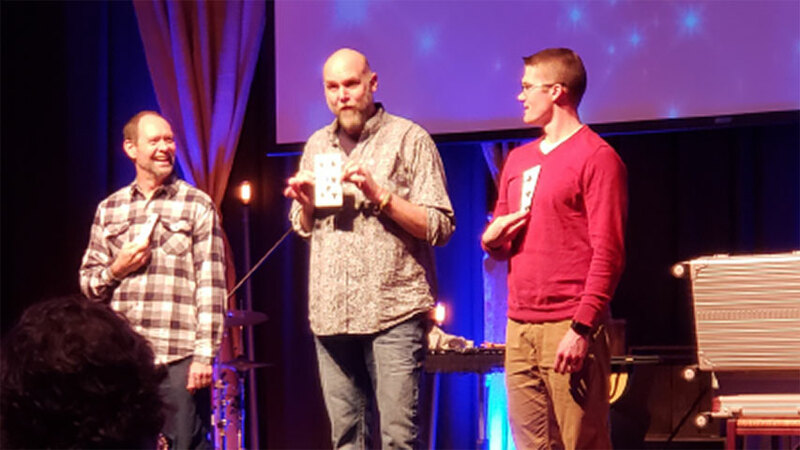 He fit in just like family, worked the crowd, gave an amazing performance, and gave us a wonderful surprise as he found a way to present the Gospel message through Magic. I would definitely recommend him to anyone who is looking or a guy who comes in as a performer, and leaves as a friend!"